This build mostly changes things behind the scenes which makes it easier for me to develop the game but there are some changes related to the AI cars. I’ve added new AI cars from Racoon Media which makes them look even prettier. AI cars now drive at different speed and they will break if they’re about to hit another AI car driver. This changes the pace of the game and it makes it easier in the start and then quickly get’s harder when traffic increases. This also means that AI car drivers in the left lane will drive faster than before and you’ll need faster reactions to dodge them. A few more sound effects have been added and also a random color scheme for AI cars. This game also target mobile phones and there was some lags caused by instantiation and too heavy shaders. 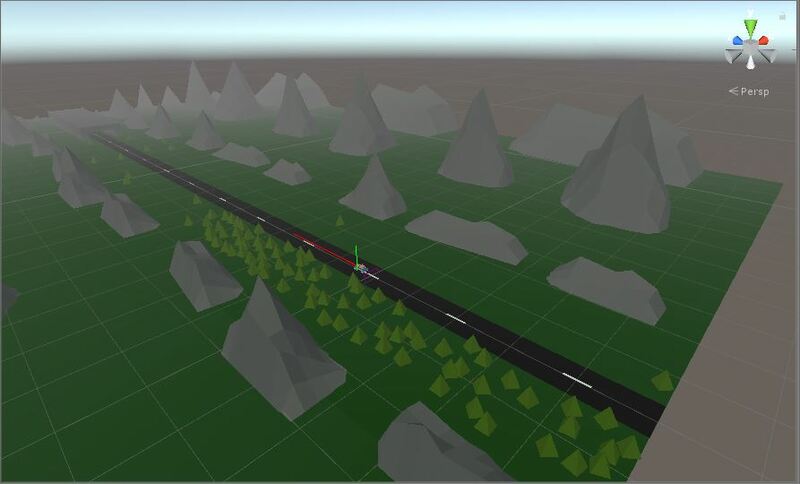 The LD Jam version was creating terrain and ai cars on the fly, this has been changed in this version which now uses a pool instead which decreases the strain on the CPU a lot. I also found that the default Unity shader was too heavy for older mobil phones like Samsung S3 so I changed it to a much more low weight vertex lit shader. The changes was enough to get the game to run at about 50-60 fps on an S3 which is smooth enough. Creating terrain pieces for this game took way more time then I expected. So I’ve created a tool that paints tree and other objects for me. 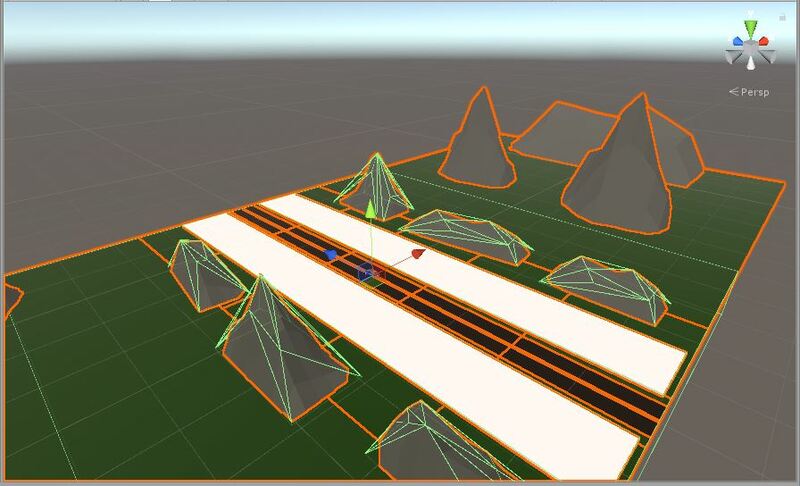 Here is how it looks in the Unity Editor. The white area is where the trees will be placed and I can select how many should be placed etc. * Fixed bug: AI cars can spawn on top of each other. 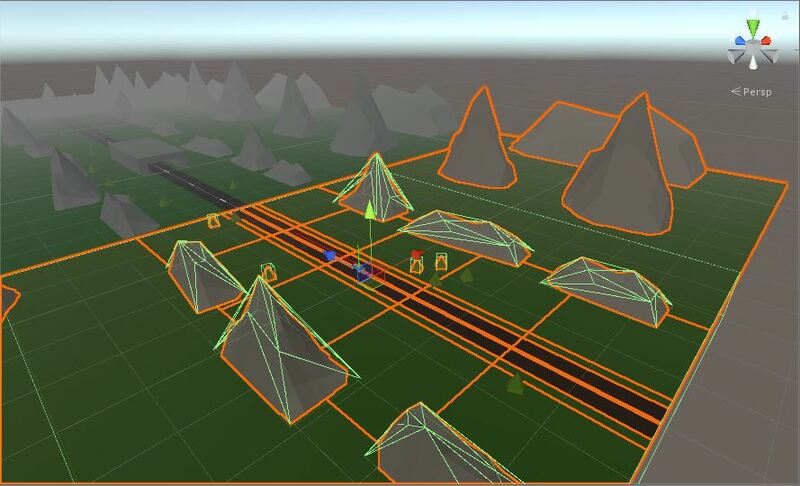 * New Feature: Procedural generated trees in “boxes”. * New Features: AI cars detects and reacts to other AI cars. * New Feature: Swoosh sound added when you pass AI cars. * New Feature: Added random color to AI cars. * Improved: Created pop-up script for coins too. * Shader optimization, new custom shader vertex lit.